Luigi Ambrosio is Director of Chemical Sciences & Materials Technology Department, National Research Council of Italy. He received the doctoral degree in Chemical Engineering (1982) from University of Naples “Federico II’. He was Research Associate at University of Naples (1983-1985), Research Associate at University of Connecticut, USA (1985-1986), and Visiting Scientist at Kontron Medical Inc., USA (1986- 1988). Adjunct Professor of University of Connecticut, USA (1997-2003) and of University of Naples “Federico II” (1997-2010). Director of Institute of Composites and Biomedical Materials, National Research Council of Italy (2008-2012). 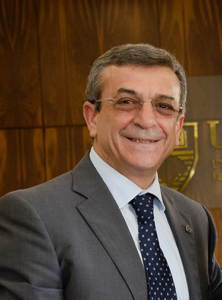 Visiting Professor at Instituto de Química/UFRGS, Porto Alegre, Brazil (Since 2012-2016). Distinguished Professor at Nanjing Normal University, China (2013-2015). Overseas Commissioner of Sichuan Province Talent Program, Chengdu, China (since May 2016). He is member of Advisory Board and Guest Editor of International and National Scientific Journals, Vice-President of the Italian Society of Biomaterials (2006-2013), and President of the European Society for Biomaterials (2006-2013), Past President since 2013. He has been nominated Fellow of the American Institute for Medical and Biological Engineering (March 2001), and Fellow of Biomaterials Science and Engineering (May 2004). He received the APA Distinguished Award (2014) and the ESB G. Winter Award (2015). Member of the European Commission Advisory Group of the FP7-NMP (2006-2008) and Member of High Level Group – Key Enabling Technologies- European Commission ( 2009-2015). Publications include over 300 papers on international scientific journals and book, 18 patents, over 400 presentations at international and national conferences, and over 130 invited lectures. Polymer and composite for biomedical application. Properties and processing of polymers and composites and nanostructures. Foams and nano-fibrous templates for tissue engineering.